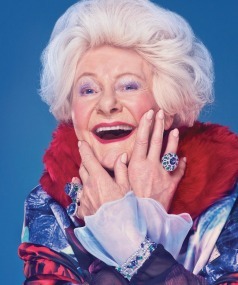 The recent celebration of 150 years in business has prompted Partridge Jewellers to highlight ageless beauty with a new campaign featuring 88-year-old Dame Kate Harcout. No stranger to the camera, Harcout is well known for her time as an actress, with an extensive array of film, television and theatre experience, having also been appointed Dame in 1996 for her services to theatre. "We wanted to acknowledge this legacy, paying tribute to the past, present and future. The new campaign is about two Wellington icons coming together to pay homage to life-long style and timeless beauty. Dame Kate has also just turned 88, and she possesses so much beauty, grace and drive,” said Partridge Jewellers CEO, Grant Partridge.